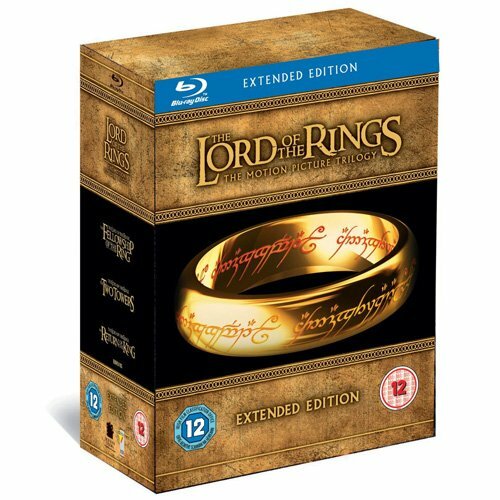 Review 26 Hours of extras, 15 discs, 3 movies, one ring. Finally, the extended Blu-ray version of Peter Jackson’s The Lord Of The Rings Trilogy has been released. Time to finally Orc-up and buy. Like many, I steered clear of The Rings first hi-def appearance; it was clear that New Line would be double-dipping and I simply didn’t want to waste my Elven shillings. It was worth the wait. This multi-disc extravaganza is quite a treat. Although ostensibly priced at around £70, you should be able to find it available for £50 or thereabouts. The set is beautifully packaged. Three fat Blu-ray cases sit within a substantial, faux gold-leaf book. Within are elongated versions of each movie. Previously available as DVD special editions, these plump out the trilogy with cutting-room floor detritus. 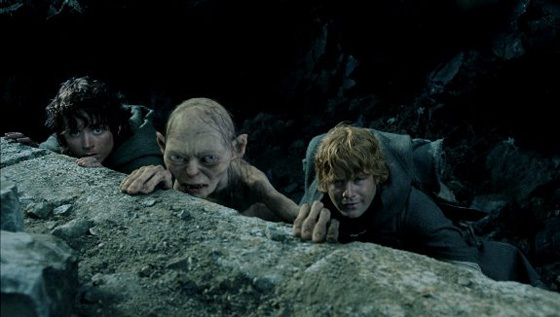 In Fellowship multiple small scene edits and additions increase its running length by around 30 minutes. The Two Towers is even more substantially altered. With more than 40 minutes of additional footage cut into proceedings, plus some reframing and tweaks, it’s a significantly different beast from the original theatrical release. 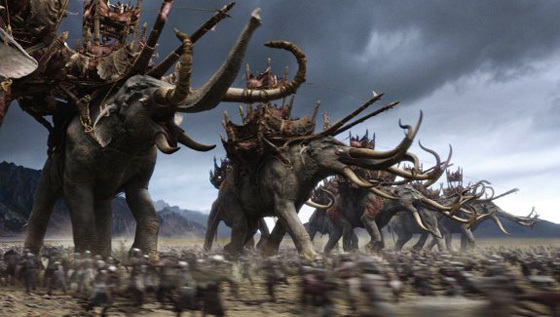 There’s also a smidgeon more action inserted into the Helm’s Deep battle, which contrary to popular opinion I believe can only be a good thing. Return of the King tops Towers with nigh-on 50 minutes of extra material. Once again the movie has been substantially re-cut to accommodate the multiple changes and insertions. This engorged version would never play theatrically because of its length, but on disc, where you can watch and take a break at will, it’s a marvellous indulgence. For those that want to spend as much time in Middle Earth as possible, these extended versions are a gift. For the less enthusiastic, they’re more like a marathon. To accommodate the longer running times, and to maintain the highest possible bit-rate, each film is split across two BD50 Blu-ray discs. Will anyone bother with a standards war?